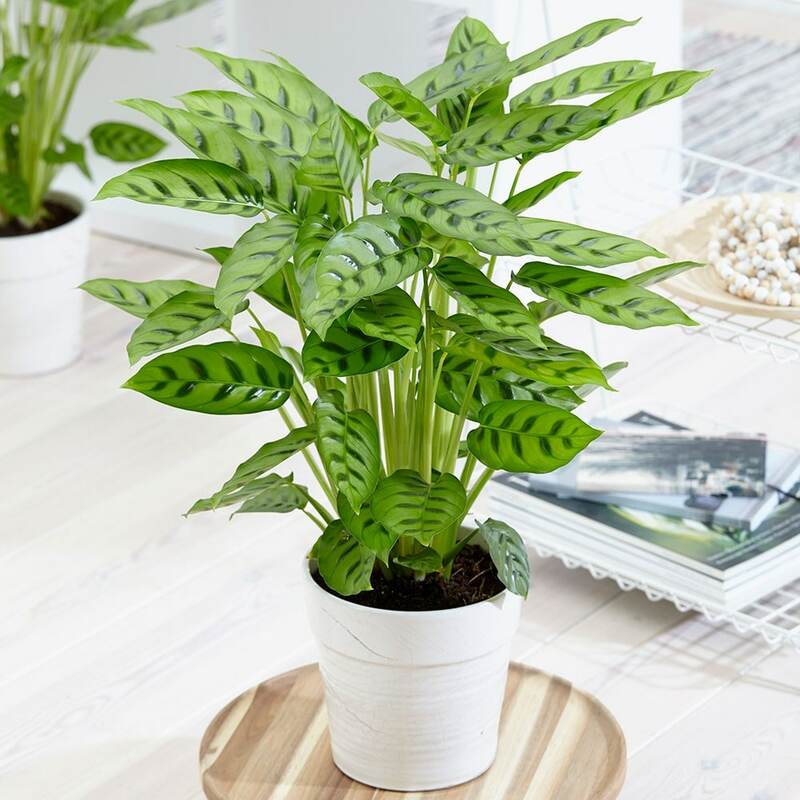 Buy Calathea leopardina calathea: A well shaped pretty plant. We love this plant! 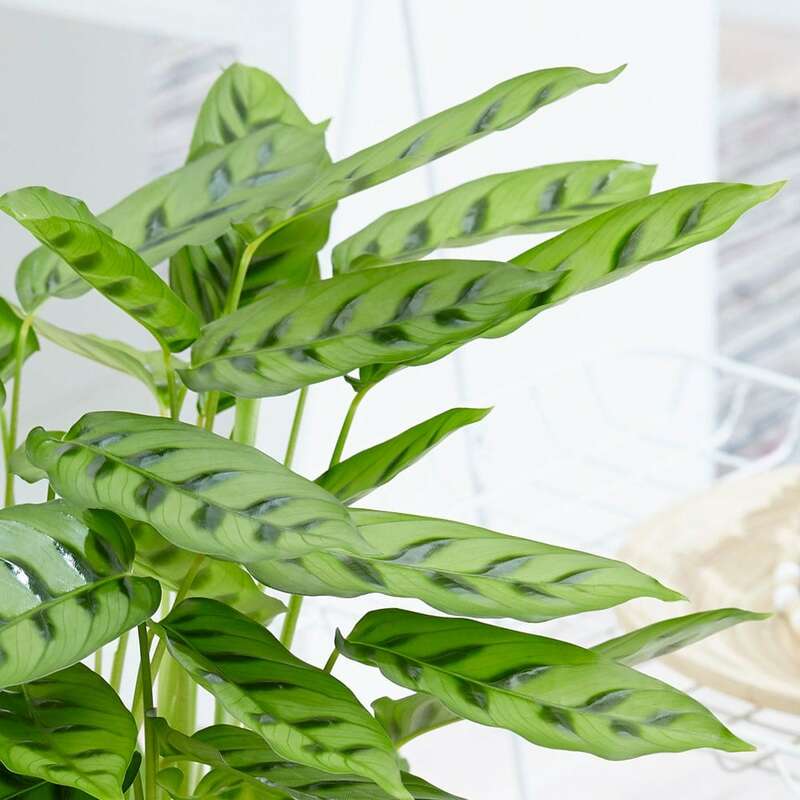 Bright green leaves decorated with deeper green patterned markings reminiscent of an animal print, stand out from the plant on strong upright stems creating a well shaped pretty plant. Choose your spot carefully and this gorgeous foliage plant will steal your heart! Please note that the pot in the photograph is not supplied with the plant (which is sent out in a black plastic pot). They do however make excellent potted plants, and if you wish to pot yours up, we do have a wide range of pots on our website to choose from. Another great plant from Crocus and lovely to look at.